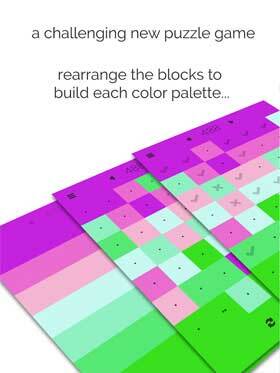 Your objective is simple, yet deceivingly complex: rearrange the blocks according to a palette of colors that blend together in harmony. Blocks may only move horizontally or vertically and each block must use up all its moves. 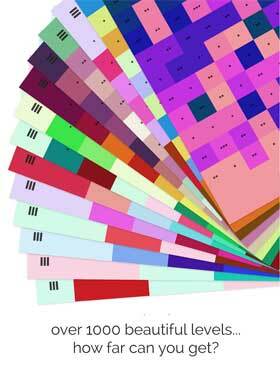 Sophisticated color palettes range from simple boards with 3 colors up to incredibly challenging 10-color boards. As levels increase, so does the intricacy and beauty of each color palette. 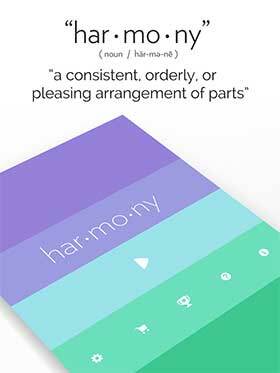 Accompanied by elegant background music and harmonized sound effects, har•mo•ny is truly a game to be experienced! • Latter levels are insanely hard! • All levels are 100% solvable! har•mo•ny contains 10 undos to get you started on tackling tough levels. Optional undo packs are available for purchase in the game and greatly help support us in our effort of making great games for you! Thanks for your support! If you enjoy har•mo•ny please rate & review – thank you for your support!